PANDEGLANG, Indonesia (Reuters) – A tsunami killed at least 222 people and injured hundreds on the Indonesian islands of Java and Sumatra following an underwater landslide believed caused by the erupting Anak Krakatau volcano, officials and media said on Sunday. 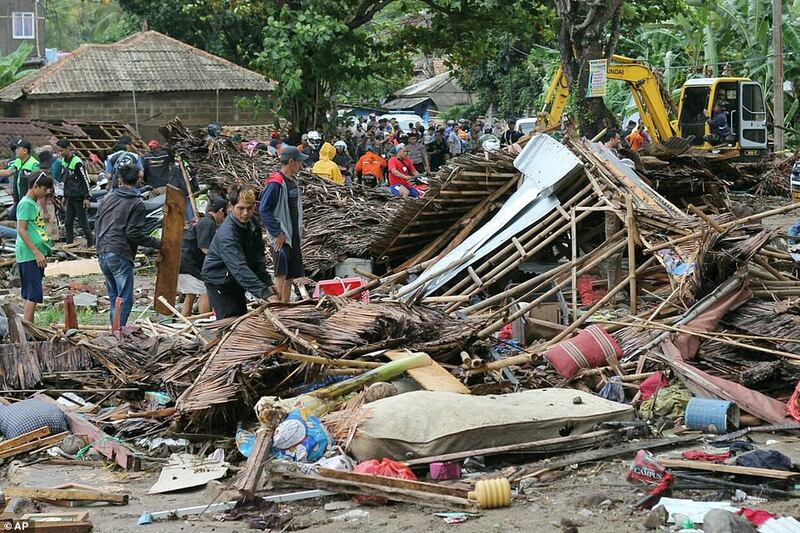 Hundreds of homes and other buildings were “heavily damaged” when the tsunami struck, almost without warning, along the rim of the Sunda Strait late on Saturday, Sutopo Purwo Nugroho, spokesman for the disaster mitigation agency, said. Thousands of residents were forced to evacuate to higher ground. By 1040 GMT, the disaster agency had raised the death toll to 222 from 168, with 843 injured and 28 missing. TV images showed the seconds when the tsunami hit the beach and residential areas in Pandeglang on Java island, dragging with it victims, debris, and large chunks of wood and metal.